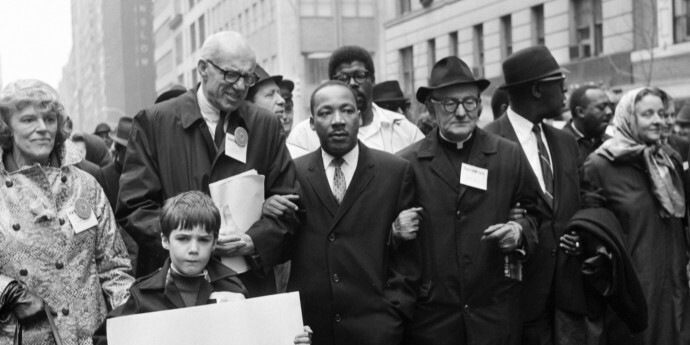 America’s celebrations of Martin Luther King, Jr. typically focus on his civil rights activism: the nonviolent actions that led to the Civil Rights Act of 1964 and the Voting Rights Act of 1965. Government officials tracked his growing radicalism, and feared it. “King is so hot these days that it looks like Marx coming to the White House,” complained president John F. Kennedy in 1963, as King was ramping up his nonviolence campaign in the South. He authorized his brother, Attorney General Bobby Kennedy to wiretap King and his associates.